We just received our first review of TALE OF TWO SISTERS and its great! Steve Barton at Brainwaves has reviewed it- link included below. Also very pleased to receive a shoutout re: my score, particularly right after Traci Lords fantastic performance. Movies and television. We obsessively engage in these media because they allow us a few moments to escape. To take part in an illusion of sorts as a means to distract us from the perils of reality. Our love affair with motion pictures began decades ago, and some of the earliest TV programs depicting thought-provoking genre-related content remain some of the very best examples of storytelling. Rod Serling’s “The Twilight Zone” will always have a home in many fans’ hearts as its storytelling and technique are every bit as powerful as they were when it premiered back in 1959. It’s cliche to say, “They just don’t make them like they used to,” but they just don’t… or do they? 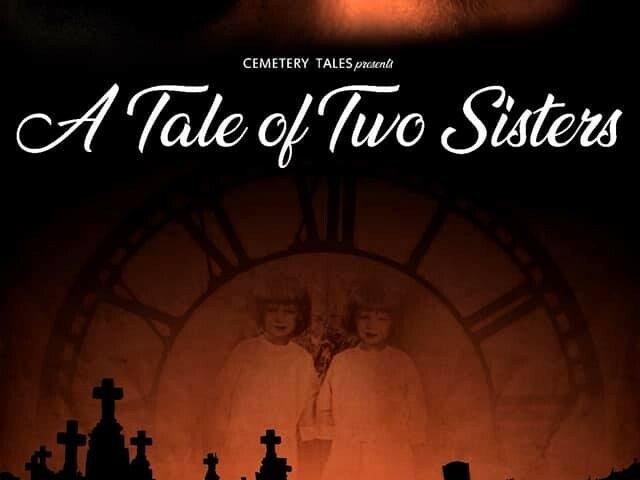 When it comes to Chris Roe’s directorial debut, Cemetery Tales Presents: A Tale of Two Sisters, if I had run across it on television without knowing a single thing about it, I’d swear it was the genuine article in terms of being filmed during a far more golden time. When Tinseltown was alive and stars were as big as any of the studios that they worked for. Set in 1949, the film tells the tale of an aging Hollywood star who woefully finds herself enduring the one-year anniversary of her twin sister’s tragic death. The loss has left her scarred, scared, and thoroughly scattered. Unfortunately for her, grief isn’t the only thing that she’ll have to contend with on this dark day, as a horrid sliver of truth is waiting just around the corner for her. It’s simple storytelling for sure, but it’s also firing on every single cylinder, and when that happens, even the thinnest of plots can become some of the most engaging experiences you’re likely to have. 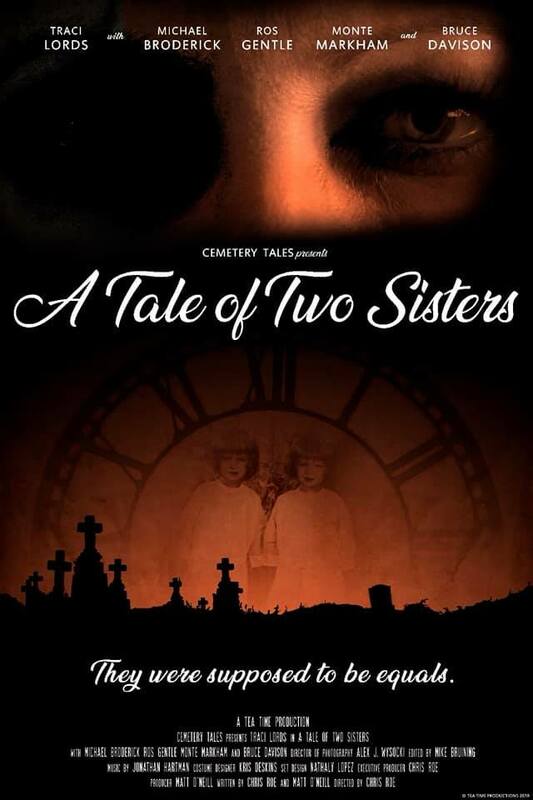 Between the exemplary performance of an impossibly glamorous Traci Lords, an elegant score, and director Roe’s ridiculous attention to detail when it comes to capturing this era, Cemetery Tales Presents: A Tale of Two Sisters plays like a genuine cross between Whatever Happened to Baby Jane? and Serling’s seminal television show. Another shining star here is the locale. Roe utilizes the raw beauty of his main set piece – the home once owned by James Whale (Frankenstein, The Old Dark House, The Invisible Man) – for all it’s worth. All of these components complement each other, combining in a near perfect illusion. When it comes to Cemetery Tales, one thing is frightfully obvious about this 20-minute short film: Every death has a tale, and more stories like this are literally screaming to be told. This is a must-see for any genre fan looking to recapture that classic chilling magic of days gone by.